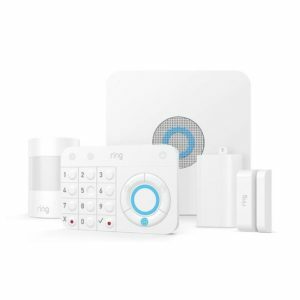 Unlike other alarm systems, the Ring Alarm Security Kit doesn’t require professional installation. You simply place the sensors in an ideal area to get started. The kit comes with: Base Station, Contact Sensor, Motion Detector, Keypad, and Range Extender. You are able to add additional components as needed!